QHow are you getting ready for the local government polls? 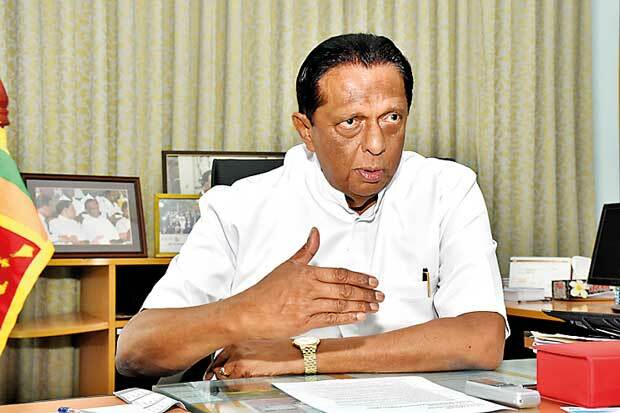 It is a walkover for the United National Party (UNP). It is the Wattala Urban Council area and the Wattala Pradeshiya Sabha area. There are three parties contesting. The UNP can win without any problem. QYou speak with such confidence about your areas. What about other areas? That is yet to be seen. I am the organizer for Wattala. Others are also getting ready. I do not want to talk about the others. QAs a senior UNP politician, how are you going to convince voters this time in the face of economic issues confronting them? As soon as the government assumed office, we reduced the prices of gas, petrol and essential items. People have forgotten it. Prices of pharmaceuticals have been reduced drastically. The Health Ministry is now going to control the private hospital charges. That is very important. If you look at the school education, the very fact that an insurance scheme was introduced is a great boon. This is in addition to free textbooks and uniform materials. Now the insurance scheme has been introduced for schoolchildren. It is a great leap forward. As soon as the government assumed office, we reduced the prices of gas, petrol and essential items. People have forgotten it. Prices of pharmaceuticals have been reduced drastically. QIn the Wattala area, you recently said that your voters had nothing to worry about in resorting to violence because the government had control over the police. Did you really mean what you said? Last time, we could have won both. But, that government of Mahinda Rajapaksa used thuggery. As a result, many of our supporters could not vote. The police were behind them. Though we tried to complain, it did not work. When our people asked whether the same would happen this time, I had to ask them not to worry. We said we were the government. The police function under the government. That was the message. But, your people in the media interpreted it in a different way. QActually the media reported what you exactly said. The media could not interpret. We watched the exact video clip. What have you got to say? You must see why I said so. People were living in fear at that time. They fear whether the same would arise this time. In that context, I said it. QWhen you said you had control over the police, and there was nothing to fear. Are you insinuating that you will strike back if anyone lays a violent hand on your people this time? Now, the time is different. There is the National Police Commission. The police do not work at the dictates of politicians. I do not need to do it. I am winning this time. Why should I use thuggery and intimidation? Last time, our victory was usurped. QYou were criticized by some Ministers of your party over your remarks. What do you say about them? Those are politicians of yesterday. They do not know what took place in the past. Take for example the infamous Wayamba election! There was a whole lot of thuggery used. We were chased out by Mahinda Rajapaksa and his group. At that time, he was a Minister. He was sent to all those areas. QDespot political differences, you maintained a close rapport with Mr. Rajapaksa at that time. You, in fact, undertook some foreign tours with him. What do you feel now about it? I am a friend of all the Presidents who served in this country. When former President Chandrika Kumaratunga served in office, I knew her so well. We do not mix up politics with friendship. Mahinda was friendly with me. They invited me to join them. I said I could not do so. I went to Rome with Mr. Rajapaksa. I also went to the Holy Land with him. I always went with the permission of the Prime Minister. QHow do you look to the future politics under the current circumstances? There is a question mark over the cost of living at the moment. Inclement weather conditions were the primary reason for it. If that is addressed during the course of this year, we will have no problem. QThe young MPs and Ministers of the UNP talk about forming a UNP government after the local government polls. What is your view on it? One cannot do it. We formed this government. We worked so hard to get President Maithripala Sirisena elected to office. The UNP was the main contributor to his success. There is no necessity for a new structure of government. This government will serve its period smoothly. After that, I do not know what steps will be taken by the government. The UNP and Sri Lanka Freedom Party (SLFP) will be together till 2020. Nobody can change it. We have to ensure prosperity for the country. That is by attracting Foreign Direct Investments and generating employment. Look at the Port City coming up! We are looking for more and more foreign employment for young people. Tourism is a thriving industry. They imagine certain things. You cannot do it. We need an absolute majority in the House. The number one priority of the President is to reduce the poverty level. We have ensured religious freedom. We have ensured freedom for different communities. All the minority parties are very happy that their interests are being looked after. Earlier, Christian churches were attacked by anti-Christian groups. Now, they are safe. We have this serious problem of drug menace. Narcotics problem is everywhere in the country. It is affecting schools. QWhy is it difficult for the government to contain the menace? I do not know whether those doing custom -checking are under the payroll of drug lords. It is difficult to track them. It is a terrible menace. We find cannabis coming in a big way from Kerala, India. 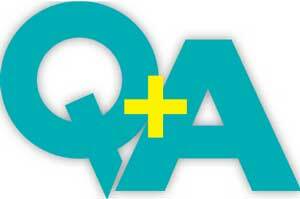 QDo you see any kind of political patronage for them? No. It is not from the government side at all. I completely destroyed the drug menace. QDid you do anything during the 100-day period of the new government? At that time, we did not have much time to do anything. We were getting ready for the next election. QHas it grown out of proportion now? Yes, it is out of proportion now. This is a crisis happening all over the world, anyway. QWSome people say relations between the President and the Prime Minister were strained after the appointment of the Commission to investigate the bond scam. What is your view? I do not see any rift in the relations. Both work cordially with each other. QWhat is your opinion on the appointment of the Commission? That is the prerogative of the President. 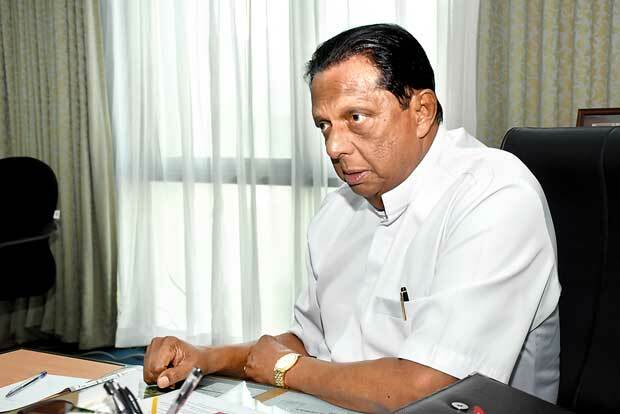 He is going to appoint a commission to investigate SriLankan Airlines. QHow do you view the performance of the government during the last couple of years? The main constrain was the debt burden. The government revenue was exhausted to settle debts. The first priority was to settle these loans. 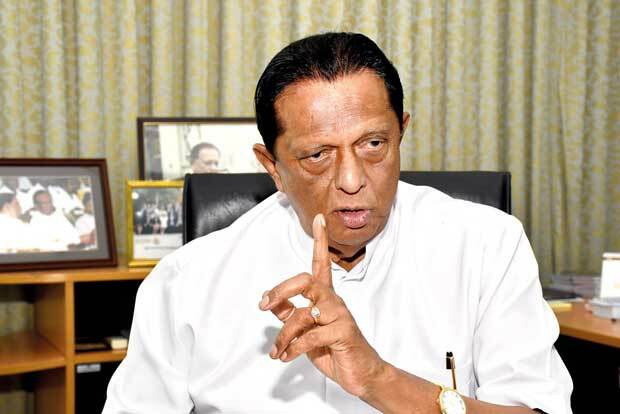 Never mind the now confirmed daylight robbery of the central bank and the EPF to the tune of billions by a trusted stooge of the PM, the grand old man of the UNP, kale John just wanted the bandits to continue their government. Time to go home John. Looks like he has got a fresh supply of Viagra. You never made a difference to politics and you will never in the future. So much of your reputation tarnised, dont you realise its time to go. Sheer greed rather than promoting a young person for your portfolio. PEOPLE ARE STARVING, DYING AND SUFFERING A LOT BECAUSE OF YOUR UNHEALTHY AND UNPLEASANT GOVERNMENT. SO PLEASE GO ASAP.